The famous Nyhavn in Copenhagen. It's like a must go place to see, but food around the area seems too touristy. True enough, we landed upon a super touristy cafe. So difficult to pick a cafe to go, because they all serve pretty similar food. 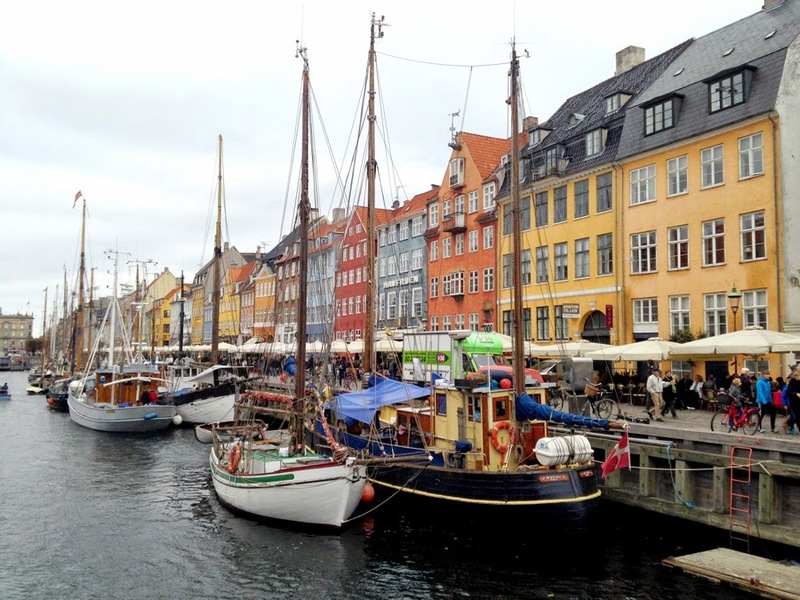 Denmark is known for having lots of fishes, shrimps and bread. 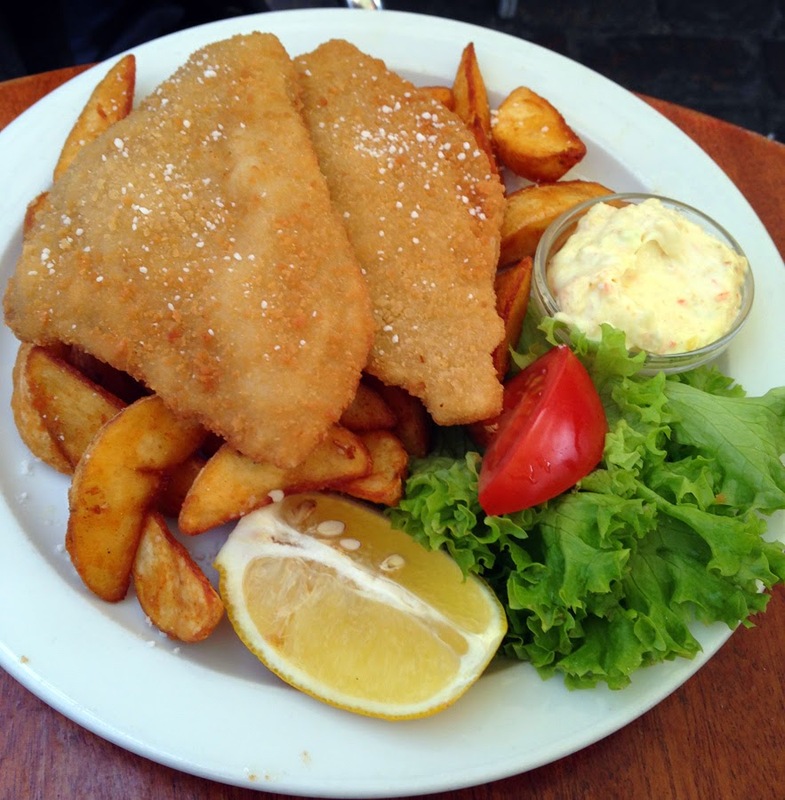 In most places you'll see choices of fish in their menu. Unfortunately my choices were not so good, or they don't provide fresh fish, or it's basically just like that I don't know. The fish tasted awkwardly fishy, smells like ammonia?! The caviar looked rather suspicious too. The colour faded a bit on the mayo, not even sure what kind of caviar is that. Well obviously not the expensive ones, afterall the price did not justify. Danish style fish and chips?! Again, that weird fishy ammonia smell. Not sure if the fish is supposed to be like that or it's from being unfresh?! It came really dry too, unlike the ones we get in Britain! Can't judge their food based on just some random cafe we walked into. 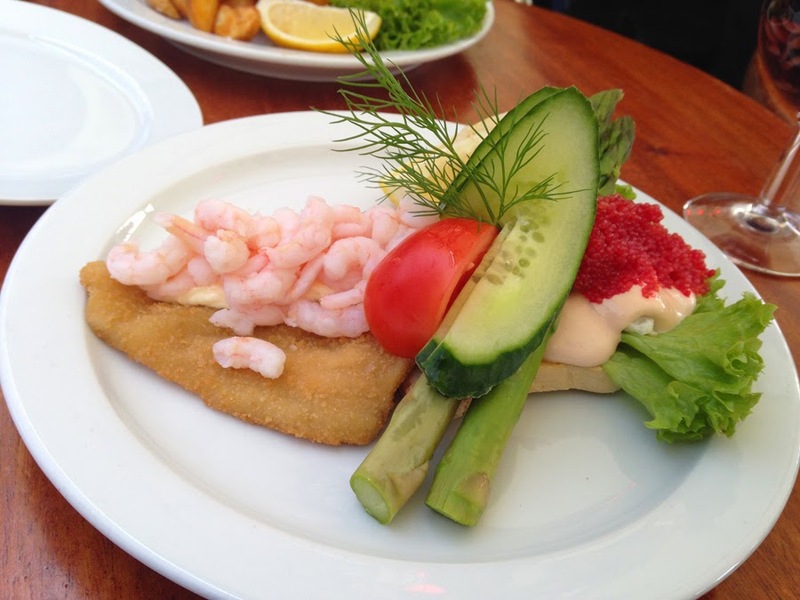 There are shocking amount of seafood choices, particularly their Herring dishes. I don't really like Herring to begin with. Perhaps we should have had at least a meal at a reputable restaurant. Maybe next time.. I wouldn't recommend fish in this cafe though. It really tastes so weird!